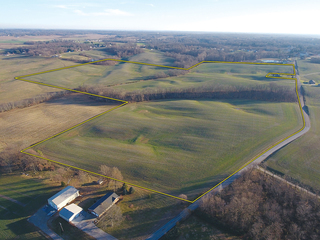 William Wilson Auction & Realty, Inc. has been authorized to sell the real estate belonging to Joe and Rebecca Koester, located in Armstrong Township, Vanderburgh County, IN. ATTENTION HOME BUILDERS AND INVESTORS! 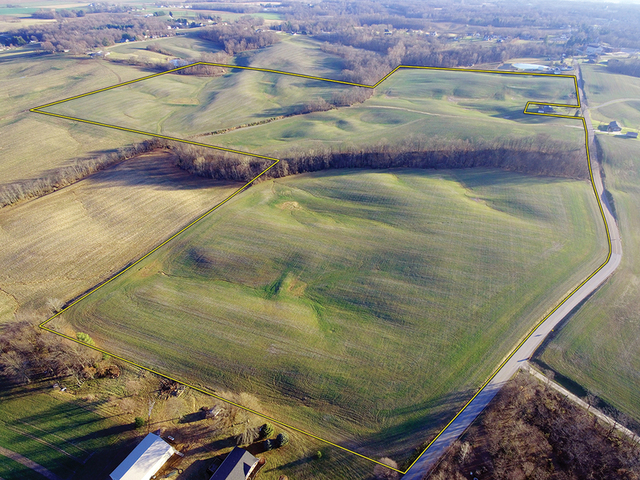 For the homesite land buyer, these tracts feature approximately 1300’ of frontage along County Line Road with easy access. 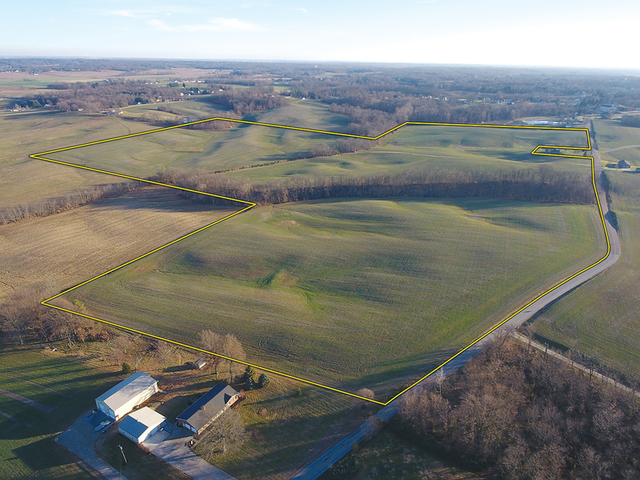 For the homesite land buyer, these tracts are perfect building sites with access off a central easement.Approximately 600’ road frontage along County Line Road with easy access. 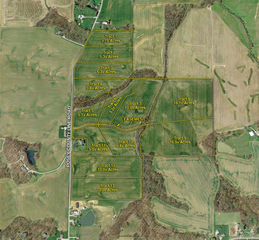 Tracts 8 & 9 are larger tracts that offer a unique opportunity with potential lake sites on the east end of the farm. 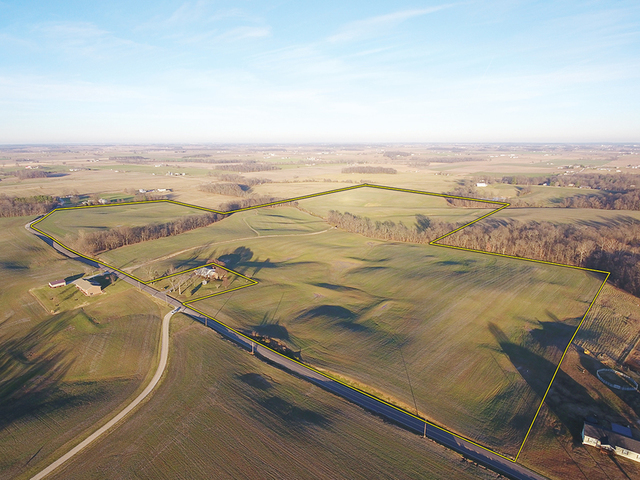 For the homesite land buyer, these tracts feature approximately 725’ of road frontage along County Line Road with lakesite potential. AUCTIONEERS NOTE: William Wilson Auction Realty is pleased to offer this Farm at public auction. Rarely does an opportunity present itself to find quality homesites such as these in close proximity to St. Wendel’s core. 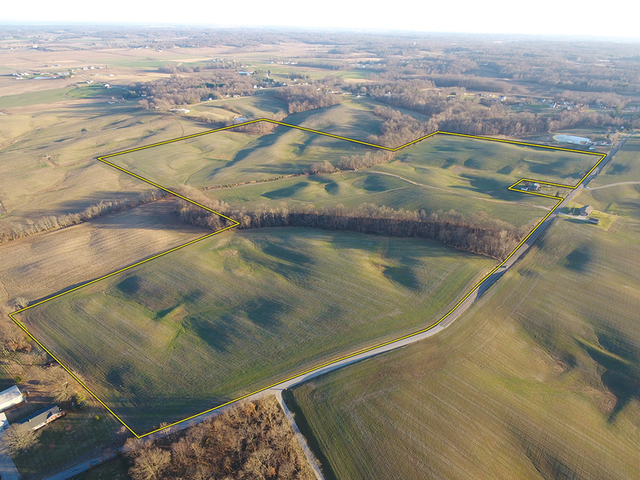 FOR THE DEVELOPER OR HOMESITE BUYER: Offering fantastic views of the St. Wendel hills, these tracts represent ideal homesites perfect for walk-out basements, lakesites, and easy access off of County Line Road. 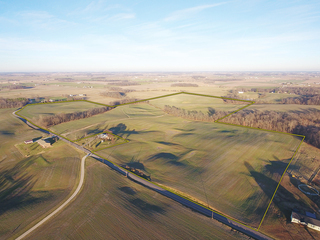 FOR THE FARMLAND INVESTOR: This farm represents productive tillable tracts with adequate drainage and good road frontage for transport to grain terminals. PROCEDURE: The real estate will be offered in thirteen (13) tracts. There will be open bidding during the auction as determined by the Auctioneer. Conduct of the auction and increments of bidding are at the discretion of the auctioneer. All decisions of the Auctioneer are final. ACCEPTANCE OF BID: Successful bidder will be required to enter into a Purchase Agreement at the auction site, immediately following the close of the auction. All final bid prices are subject to the owner’s acceptance or rejection. Click “Documents” Tab for Detailed Information with additional Due-Diligence Materials, including information such as: soil maps, tax information. DIRECTIONS TO THE PROPERTY: From St. Wendel church proceed North on County Line Road approx ¼ mile. Watch for signs.